Thunska Pansittivorakul has produced a new version of his 2010 semi-documentary film, Reincarnate. The 2017 version, which has brighter and more vivid colour grading, was released on the Vimeo website yesterday. For the new version, Thunska has added a haze effect in some of the point-of-view shots of the leading actor, Panuwat Wisessiri. At times, this effect represents the director's voyeuristic gaze, though later it suggests the presence of the daughter that Panuwat describes giving birth to, as if her shadow were following him. One shot in the new version is shorter than in the original: when Panuwat says "I think I am pregnant", the film now cuts immediately to the montage sequence symbolising his labour pains. There is also a minor change to the soundtrack: the sound of crickets chirping has been added to one sequence. The most substantial addition is a new sequence (actually an out-take from Thunska's more recent film, sPACEtIME) of Nathapong Kaewprom naked in a swimming pool, filmed underwater. This scene repeats a motif from elsewhere in Reincarnate and Thunska's earlier short film, Unseen Bangkok: the director grabbing a particular part of his actor's anatomy. Thunska's other feature-length films are Voodoo Girls; Happy Berry; This Area Is Under Quarantine (banned in 2009); The Terrorists; Supernatural; and Homogeneous, Empty Time. His early short films, including Middle-Earth, Soak, and Action!, were screened at a retrospective in 2008, followed by an exhibition of his photographs. His more recent short films include The Altar, KI SS, and 2060. 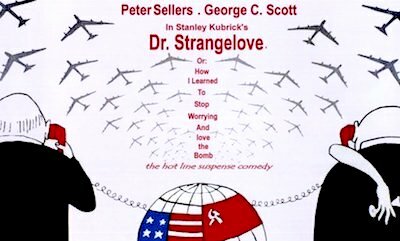 Reconstructing Strangelove: Inside Stanley Kubrick's 'Nightmare Comedy' analyses the political and cultural background to Dr Strangelove, and assesses the accuracy behind the satire. 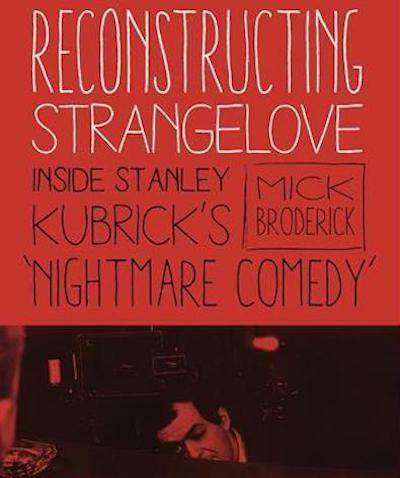 Author Mick Broderick is one of a select few researchers (including Bernd Eichhorn and Jon Ronson) who had access to Stanley Kubrick's papers in situ at Childwickbury before they were transferred to the Kubrick Archive. The book is not "the definitive work on Kubrick's Cold War comic masterpiece," as the back cover claims, though it is an authoritative account of Kubrick's collaborations with his screenwriters. It also debunks some of the legends surrounding the making of the film: "Over the years a number of myths concerning the production of the film have circulated, stories that only a forensic analysis of Kubrick's production files can comprehensively evaluate." Broderick quotes from Kubrick's initial letter to Peter George (the author of the source novel), in which the director asks: "Why, if the Russians had built a Doomsday Machine, would they have kept it a secret?" This query found its way into the final script, when Strangelove says, "the whole point of the Doomsday Machine is lost, if you keep it a secret!" Numerous pre-production documents, including this handwritten letter, are quoted and reproduced, and there are extensive footnotes. Peter Kramer wrote a monograph on Dr Strangelove for the BFI Film Classics series, and Piers Bizony is currently writing a new book on the film. The Kubrick exhibition catalogue and The Stanley Kubrick Archives (edited by Alison Castle) also include chapters on the making of the film. 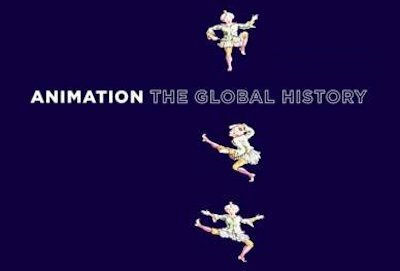 Animation: The Global History, by Maureen Furniss, is described by its publisher (Thames & Hudson) as "THE FIRST COMPREHENSIVE HISTORY OF INTERNATIONAL ANIMATION", though it could more accurately be called the most comprehensive single-volume history of all types of animation. The UK edition was released this month, though it was published in the US last year as A New History Of Animation. Film and television cartoons are featured in considerable depth, though the main strength of this ambitious and impressive book is its coverage of peripheral forms of animation such as computer games, advertising, music videos, and even performance art. Furniss also provides cultural context by linking trends in animation to art and design movements, and the book is visually appealing, with around 400 colour illustrations. Furniss inevitably focusses on the American, European, and Japanese animation industries, though there are also sections on China and Russia. Unfortunately, Australia, South Korea, India, South America, and Africa are all lumped into a single chapter. There are footnotes and a glossary, though no bibliography. The book was written more than twenty years after Giannalberto Bendazzi's Cartoons: 100 Years Of Cinema Animation (1994), which focusses largely on animated films. Bendazzi's book has less coverage of TV animation, and it pre-dates the computer-generated era and the Western popularity of Japanese anime. Furniss, of course, discusses these extensively, though Bendazzi's book remains the definitive study of cinematic animation, unrivalled for its encyclopedic coverage of more than seventy countries. Maurice Horn's World Encyclopedia Of Cartoons (1980) contains biographies of hundreds of animators, and Stephen Cavalier's The World History Of Animation (2011) features capsule reviews of animated films from around the world. The Anime Encyclopedia and Anime: A History provide the best coverage of Japanese cartoons, and Moving Animation is the first history of computer animation. Bendazzi's three-volume Animation: A World History was published in 2015. 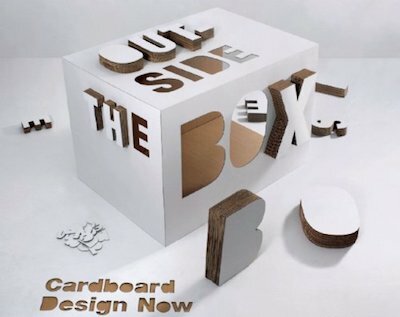 Outside The Box: Cardboard Design Now profiles designers and manufacturers who are producing cardboard packaging, products, furniture, and architecture. Most of the featured projects are from the turn of the twenty-first century, though there are a handful of earlier examples, such as the set of cards designed by Charles Eames "with his brother Ray" [sic.] and the Wiggle chair by Frank Gehry. The book also includes two essays: a brief history of cardboard by Michael Czerwinski, and a technical guide to cardboard architecture by Santiago R Perez. Faking It, by Mia Fineman, is the first book to examine the alteration of photographs from an artistic, rather than a purely technical, perspective. 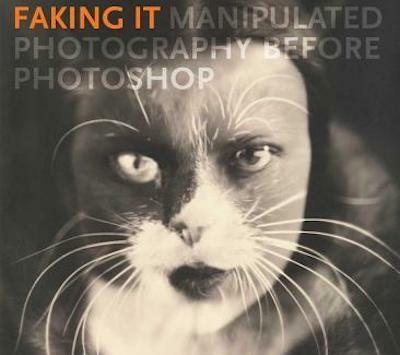 As Fineman writes in her introduction: "This book traces the history of manipulated photography from the 1840s through the early 1990s, when computer software replaced manual techniques as the dominant means of altering photographs. It is a story that has never been told in its entirety," and this survey is a fascinating rebuttal of the old saying 'the camera never lies'. The book includes Pictorialist composite images such as Henry Peach Robinson's Fading Away (1858), novelty double-exposures similar to the trick films of Georges Melies, airbrushed propaganda portraits (including a 1937 image of Stalin, also discussed in Controversies), and Surrealist and Dadaist photomontages (covered in depth by Dawn Ades in Photomontage). The most recent examples are from the start of the computer era, such as a 1982 National Geographic magazine photograph in which two Egyptian pyramids were digitally pasted closer together. Fineman argues that the photographic canon favours realism over artifice - in other words, the 'new objectivity' of Edward Weston and Albert Renger-Patzsch outlasted the 'new vision' of Laszlo Moholy-Nagy - and she attributes this to Beaumont Newhall's "keen preference for straight photography." (Newhall's History Of Photography did "more than any other English-language publication to establish photography as a subject of serious art-historical study.") 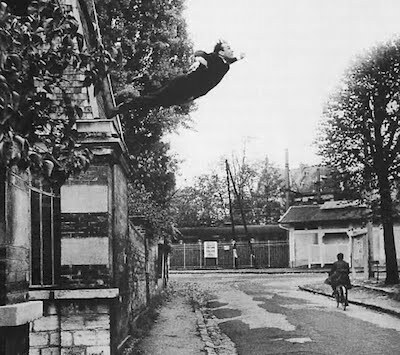 She later identifies Yves Klein's Leap Into The Void (1960) as a turning point that paved the way for more experimentation and manipulation. On 15th January, the National Legislative Assembly voted to approve an amendment to the constitution, after King Maha Vajiralongkorn (Rama X) requested changes to the articles related to the appointment of a regent. Following the amendment of the interim constitution, the draft constitution will now be revised in the same way. The articles relating to the appointment of a regent in the interim and draft charters were unchanged from the 2007 constitution: "Whenever the King is absent from the Kingdom or unable to perform His functions for any reason whatsoever, the King will appoint a person Regent" [my emphasis]. The King, via the Privy Council, requested that this be amended to "...the King may appoint a person as Regent," thus making the appointment optional rather than compulsory. When Prime Minister Prayuth announced the amendments, he stressed that "they are not related to the rights and freedoms of the people," as if to justify a constitutional monarch altering the draft after it had been endorsed by 61.35% of voters in last year's referendum. Rama X became King on 1st December last year, seven weeks after the death of his father, King Bhumibol, on 13th October. He and his wife, Srirasmi, separated in 2014, after her parents and siblings were jailed for lèse-majesté. Photography: A History 1839-Now is a four-volume history of photography edited by Walter Guadagnini, translated from the Italian edition, La Fotografia. The four chronological volumes have previously been published separately, as The Origins 1839-1890, A New Vision Of The World 1891-1940, From The Press To The Museum 1941-1980, and The Contemporary Era 1981-2013. The set contains more than 1,000 photographs, and more than 1,300 pages. The four books are housed in a luxurious box depicting the earliest extant photograph, an 1827 image by Joseph Niepce. Each volume features profiles of significant photographers (with portfolios of images from their published monographs) and photography exhibitions, written by Francesco Zanot. These are supplemented by longer thematic essays "shifting the focus from the individual works and events to a broader vision," timelines of photography and art history, and comprehensive bibliographies. Beaumont Newhall wrote The History Of Photography, the first history of photography as an art form. 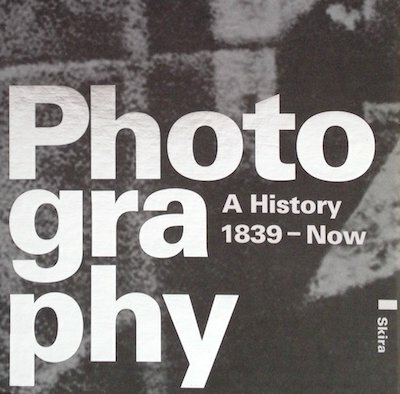 Helmut Gernsheim's The History Of Photography covers photography's early development. Naomi Rosenblum's A World History Of Photography became the standard modern history of the subject. Mary Warner Marien's Photography: A Cultural History is the most recent, and most comprehensive, single-volume survey. 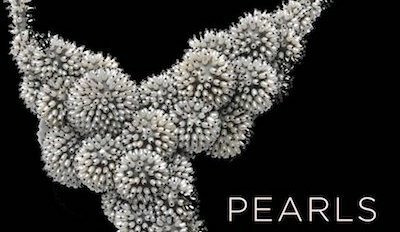 Pearls, by Beatriz Chadour-Sampson and Hubert Bari, accompanies a 2013 exhibition at the V&A curated by the authors. The catalogue is one of the few books to examine pearls in relation to the decorative arts: "The literature on pearls concentrates on their natural history. This book aims to chronicle the changing fashions in jewellery and to show how historical events and economic developments have influenced who wore pearls." The first two chapters, on pearl culture and pearl fishing are by Bari, while Chadour-Sampson writes the remaining six chronological chapters on the cultural history of pearls. 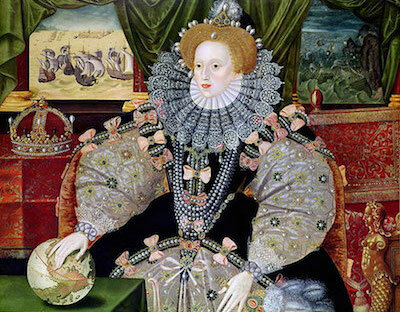 Photographs of exquisite Roman, Byantine, and medieval accessories are included, and Renaissance paintings (such as George Gower's 'Armada portrait' of Elizabeth I) depict pearls as status symbols. 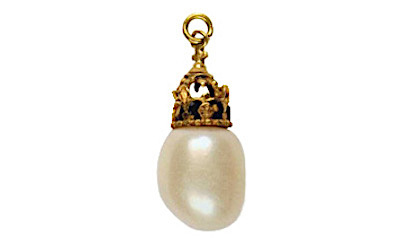 A simple pearl drop earring is perhaps the book's most fascinating object, as it was worn by Charles I at his beheading. 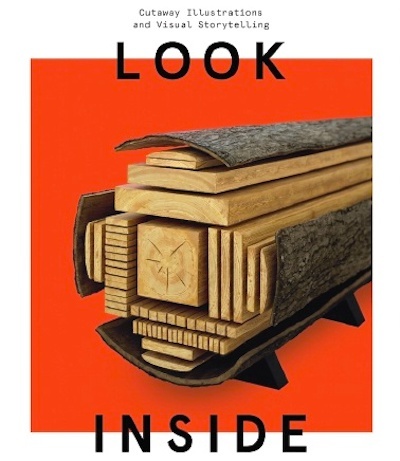 Look Inside: Cutaway Illustrations & Visual Storytelling, written by brothers Juan and Samuel Velasco, is the first survey of cutaway diagrams, a subset of infographics defined as "illustrations in which the external layer of an object has been "peeled off," in order to reveal the interior." In addition to cutaways, the book also includes images depicting interior structures via cross sections, transparency or translucency, and exploded views. The book begins with the history of cutaways, such as the "precise and beautiful diagrams" of Ismail al-Jazari, and Leonardo da Vinci's drawings, "whose combination of precision, artistry, and attention to detail are still unsurpassed." Andreas Vesalius' "cutaways of a kind never seen before," and JM Bourgery's anatomical studies "depicted with utmost elegance and beauty" are also discussed, though none of these works are included as illustrations. While some historical cutaways are reproduced, including several by the pioneer Fritz Kahn, most of the illustrations are by contemporary artists. There are plenty of full-page images, and some gatefolds, though most of the works are undated. There is no contents page or bibliography. Cutaway illustrations are also included in Information Graphics and Understanding The World. Other books on specific genres of infographics include The Art Of Instruction (on educational charts), The Art Of Illustrated Maps (on creative cartography), Cartographies Of Time (on timelines) and The Book Of Trees (on tree diagrams). After a break for the new year holiday, Bangkok Screening Room will re-open next week with two five-star classics: Stanley Kubrick's masterpiece Dr Strangelove, and David Lean's epic Lawrence Of Arabia. They will be followed next month by Arthur Penn's Bonnie & Clyde. Dr Strangelove will be shown on 17th, 18th, 19th, 20th, 22nd, 24th, 25th, 26th, 27th, 28th, and 31st January; and 1st February. 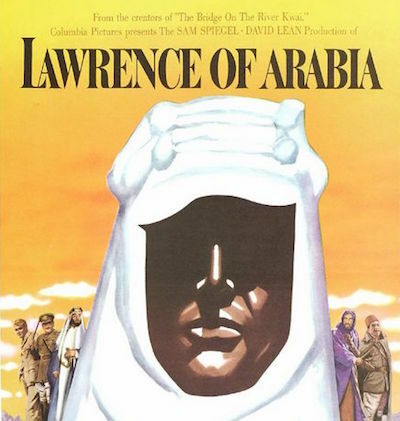 Lawrence Of Arabia will be screened on 21st, 22nd, 28th, and 29th January; and 4th and 5th February. 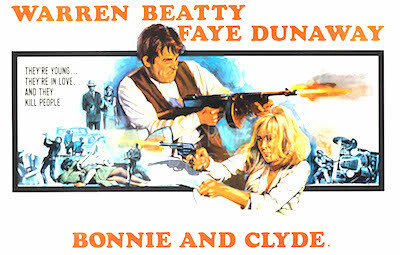 Bonnie & Clyde is playing on 15th, 17th, 18th, 19th, 22nd, 24th, 25th, and 26th February. Bangkok's Jam Cafe will be screening Dziga Vertov's Man With A Movie Camera next month, as part of its weekly Jam Cine Club. 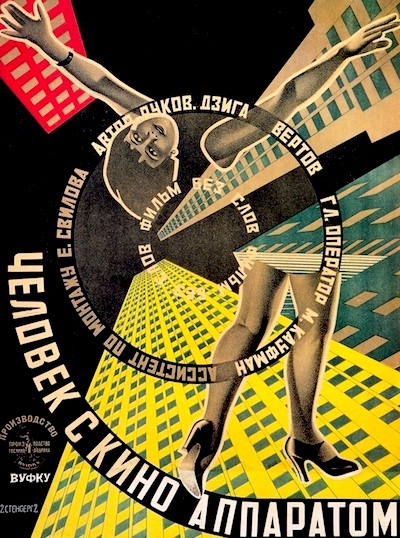 Vertov's silent classic, arguably the greatest documentary ever made, will be shown on 22nd February, and the audience can listen to a choice of soundtracks via individual headphones.